Looking to compare the Vitamix E310 vs 5300? You're in the right place! A detailed comparison chart which compares the features of the E310 and 5300. What's important based on our 5+ years of using Vitamix blenders. Which one you should buy (depending on your lifestyle). Mobile users can swipe left to right to view the chart. 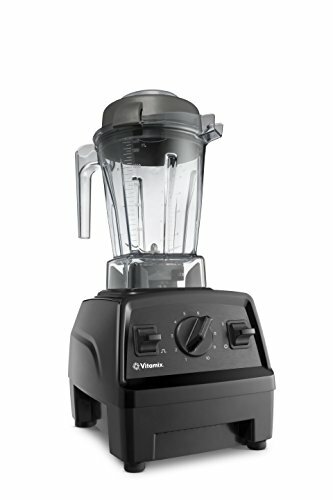 The main differences between the Vitamix 5300 and the E310 comes down to three things..
Motor Strength: The 5300 has a more powerful motor (2.2 vs 2.0 HP). Jar Style: The E310 has a smaller 48 oz container while the 5300 has the standard low-profile 64 oz container. Warranty: The E310 has a shorter warranty by 2 years (7 years and 5 years respectively). Color Options: The E310 only has one available color option: black. The 5300 has black and red. If you're a single person I would definitely go for the E310. The 48 oz jar it comes with is the perfect size for single servings that are both big and small. 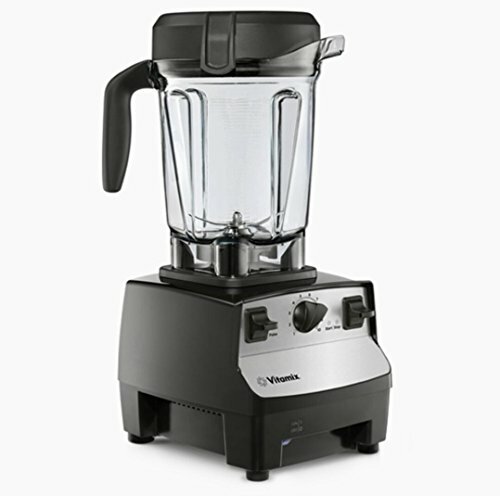 The E310 also has a much lower MSRP (at the time of writing this on the Vitamix website). This means that you'll likely be able to find it much cheaper than a new 5300. Finally, don't let the slightly lower horsepower fool you. You can still create just as many things in the E310 as you would in any Vitamix.